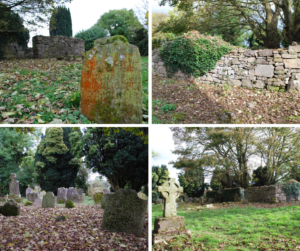 Settled on a hillside close to Glaslough village, Donagh Old Graveyard is associated with St.Patrick, and indeed is very close to Armagh where Patrick established a church. Within this protected graveyard there are the ruins of a medieval church, the 17th century Donagh cross, two cross-bases, two seventeenth century grave-slabs and a cross-shaped headstone dated 1666 as well as numerous examples of headstones with intricate evocative folk art inscribed upon them. Recorded onsite, in this podcast you will hear from the local community associations, religious representatives, archaeologist and heritage specialists on why the site matters and on how a conservation plan is under development for this important place.